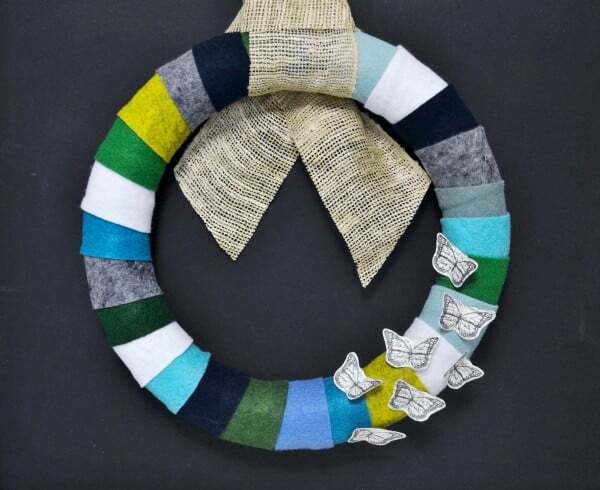 Felt is one of my favorite mediums for creative wreath-making. This DIY Christmas Wreath features white felt, plus glittered DIY holly berries for a fun and modern take on traditional holiday wreaths. 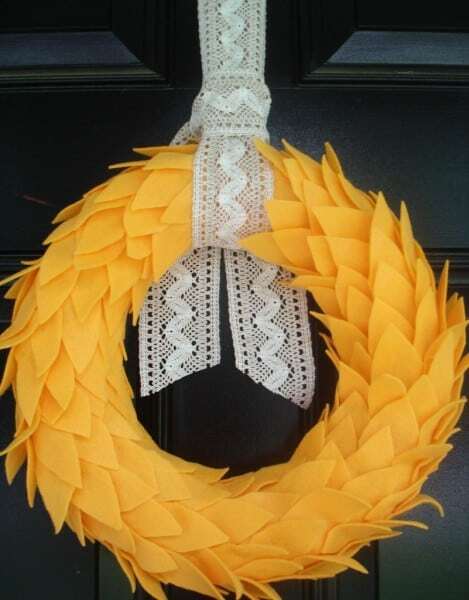 Place this wreath on your front door, or inside your home as part of your holiday decor. If you don’t permanently attach the holly berries, you can even use the white felt wreath as a base and change out the embellishments seasonally! 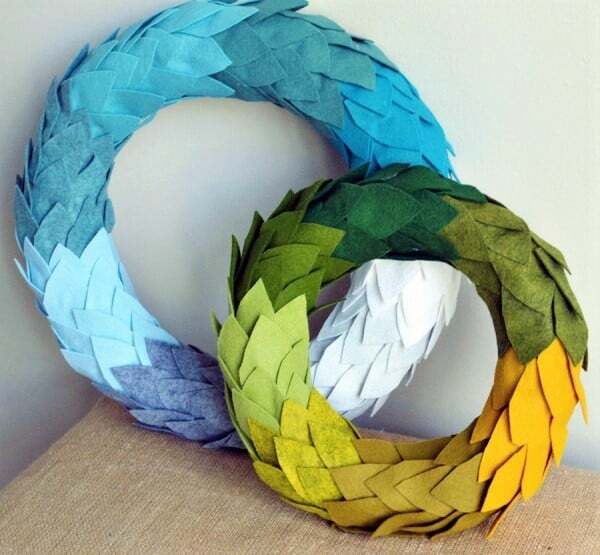 Step 1: Create your felt leaves. 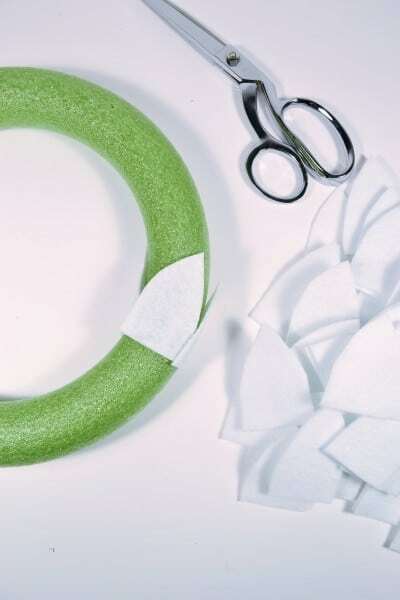 To do this, take your felt sheets (mine were 9×12, and I used approximately 7 of them) and cut them lengthwise into 5 equal strips. Take those strips, and cut them into rectangles (you’ll get approximately 5 rectangles per felt strip). 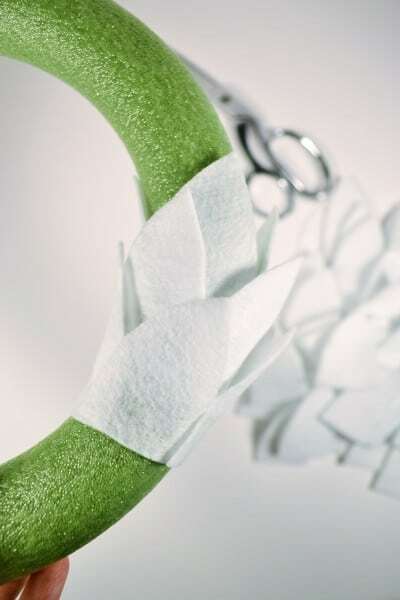 Take each rectangle and cut into a leaf shape. 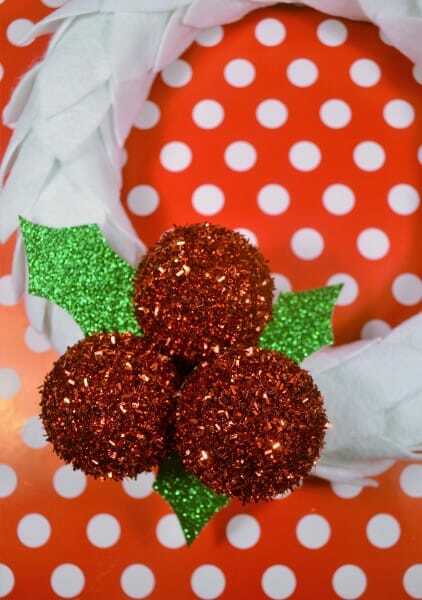 Step 3: For my holly berries, I just used glittered foam balls that I found in the holiday section of Hobby Lobby. Can’t find them? No worries. You can either take regular foam balls and decorate them with glitter and Mod Podge, or you can just cut out circles out of red glitter cardstock for a flat (but still impressive) look. Next, cut out holly leaves out of your glitter cardstock. 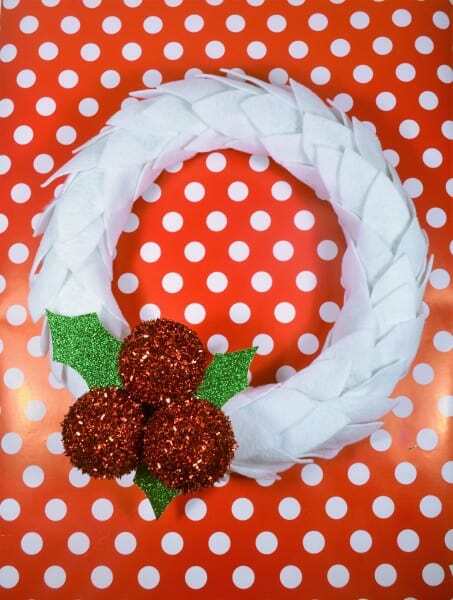 Glue your leaves, as well as your berries, onto your wreath form. Impressive, right? 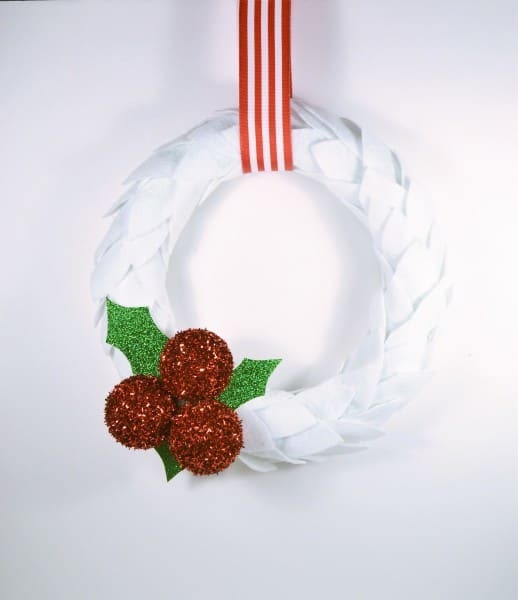 I love the look of this wreath with a simple red and white striped ribbon for hanging. Thanks for spending time with me today reading all about my DIY Christmas Wreath! Have a crafty day!